Does anyone know where you can buy the glass from? 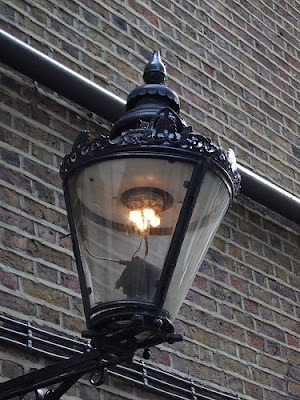 We have one of these lamps (converted to elctric) in our front garden - so it serves partly as a street lamp. However someone used it for target practice so I now need to replace two of the 'conical' glass panels. I repair gas lamp timers; see the clock in the lamp above used to switch the gas on and off each day? The clock is the round object inside the glass housing near the bottom where it narrows down.